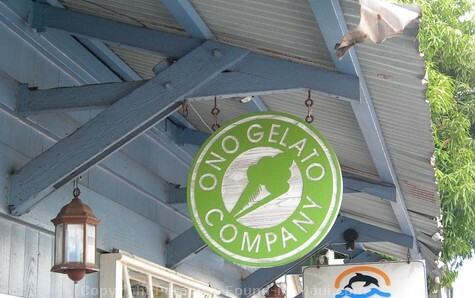 Front Street Lahaina, Maui: Why Ono Gelato is a MUST-Do Stop! The next time you're in Lahaina, Maui, and craving a cool treat, I highly recommend you stop by Ono Gelato on Front Street. 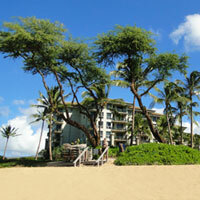 Operated by Melissa and Stefano Mosi, this is an awesome location with to-die-for ocean views from the patio. 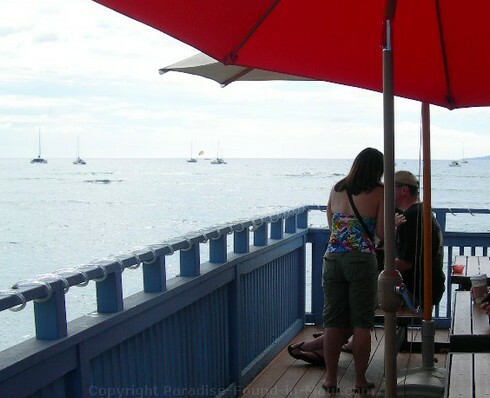 It was voted "The Best Italian Ice Cream on Maui" - go check it out - you'll see why it's so darned popular! 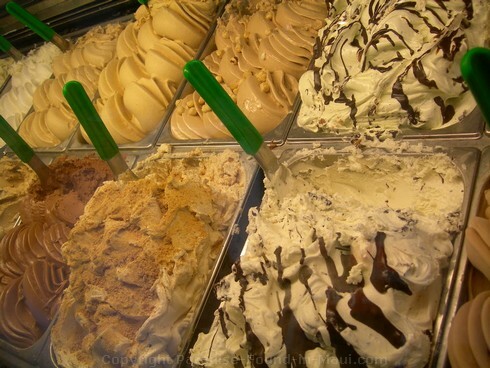 You know you're in for something special as soon as you see the dreamy swirls of gelato in seemingly endless varieties (ok... there are officially 24 flavours.) I think it was love at first sight for me! 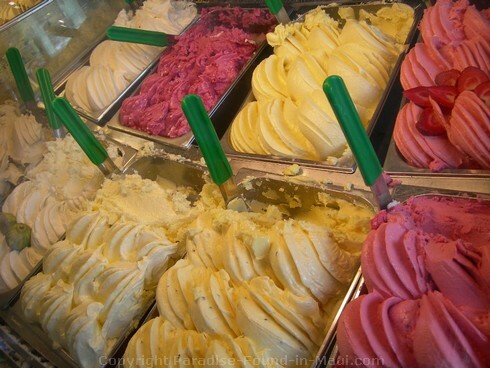 If you're like me and can't decide which flavour to choose, then splurge on a few different ones - why not? You're on vacation after all! It only cost us an extra dollar per extra flavour, so you really can't go wrong! Not only does Ono Gelato serve up traditional gelato in a cup, but there are also gelato smoothies, gelato floats, gelato CAKES!, and affogato (gelato "drowning" in 100% Maui espresso.) 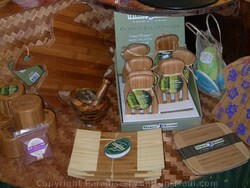 And, you can even order gelato to go and have your own stash to keep in your condo or rental home's freezer. Yum, yum, yum! Are you drooling with anticipation yet? 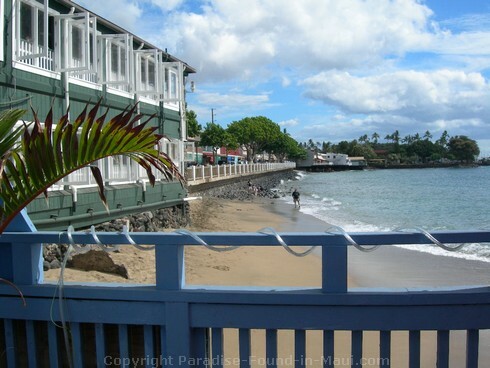 And what if you find yourself here on Front Street Lahaina, Maui, before breakfast and you can't bring yourself to order gelato for your morning meal? They've got you covered. 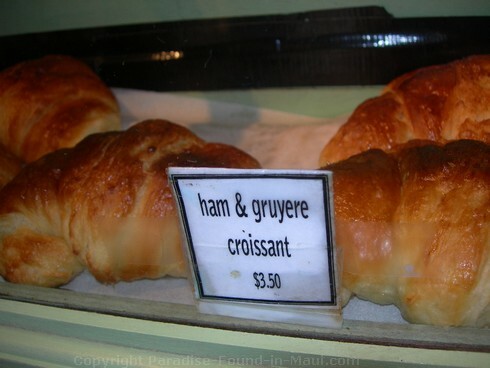 Take a look at their croissants (do you see those ham and gruyere ones? oooo... yummy!)... or maybe a bagel. Now you've had breakfast and can surely justify some gelato for dessert... order a fruity flavour if that will make you feel better about it. I KNOW you'll feel great about it once you've tasted it! And after you've enjoyed your sweet treat under those red umbrellas on the patio, you can browse through their jewelry collection, local jams to go, and other souvenirs on your way out. 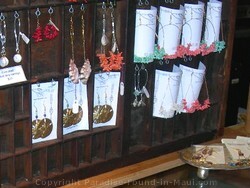 They are located at 815 Front Street, right next door to Cheeseburger in Paradise. This is the block of Front Street in between Lahainaluna Road and Wahie Lane. They are open 7 days a week, morning, afternoon and evening. 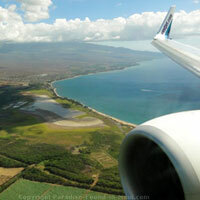 There are also a couple of other locations on Maui: in Kihei at 1280 South Kihei Road, and in Paia at 115D Hana Highway. 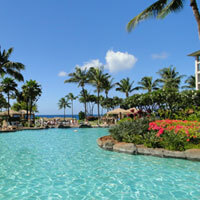 2) Cheeseburger in Paradise - Dynamite views, hula skirts and juicy burgers in paradise!